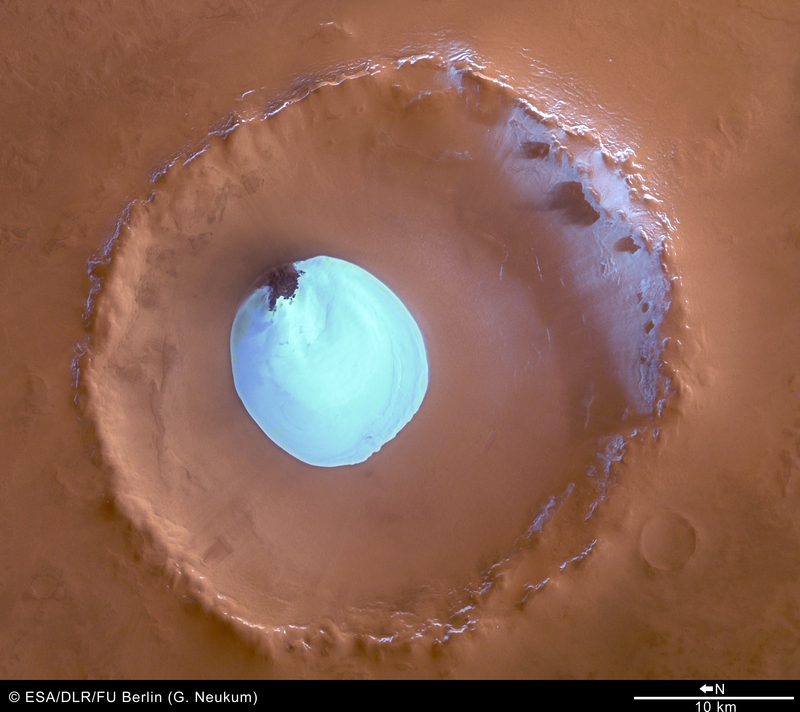 Today's Image of the Day is of an unnamed crater on Mars with water ice in it. The crater is located in Vastitas Borealis, a broad plain which covers much of Mars' northern latitudes. This crater is 35km in diameter and approximately 2km deep. The ice in this crater is present all year round because the temperatures at such high latitudes never get above freezing. The ice cannot be carbon dioxide ice because at the time this photo was taken all carbon dioxide ice had previously sublimated. This image was taken by ESA's Mars Express' High Resolution Stereo Camera (HRSC). Clicking on this image will take you to the original high definition image. I highly recommend you check it out!